Leake's Chapel Preschool focuses on the whole child, socially, emotionally, spiritually and physically. Each and every child is born with their own unique qualities and gifts. The preschool years are very important in your child’s development. We provide a warm, nurturing, well rounded Christian environment in which they can discover all the possibilities that each individual child desires. The curriculum of the preschool puts emphasis on developing language skills, letter and number recognition, colors, developing fine motor skills, cognitive skills, bible, social interaction and kindergarten readiness. There are a variety of activities to promote learning. Such as hands on projects, games, music and themes for the month. 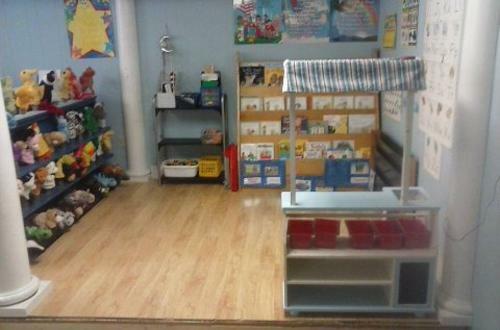 We appreciate your interest in our preschool, and we are looking forward to getting to know you. But mostly, we look forward to having fun as we learn and grow with your special little one. We offer classes for ages 2-5. Preschool begins after Labor Day. Classes are from 9-12 each day. (2 & 3's- TTH/ 4 & 5's- MWF).